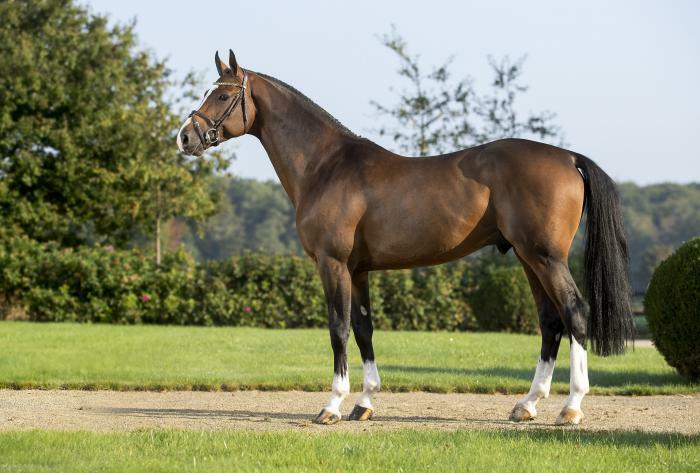 With first information arising from Belgium about a tremendously jumping 3-year-old stallion from the dam line of Quirly Chin in spring 2015, the persons in charge were immediately interested when the Holsteiner Verband was offered this 3-year-old stallion by Plot Blue-Vigo d’Arsouilles-Cento from the success dam line bred by Joris von Brabander. But wouldn’t a produce of these three stallions be too heavy for breeding modern high-performance horses? An inspection of the stallion at his breeder’s stable answered many questions. 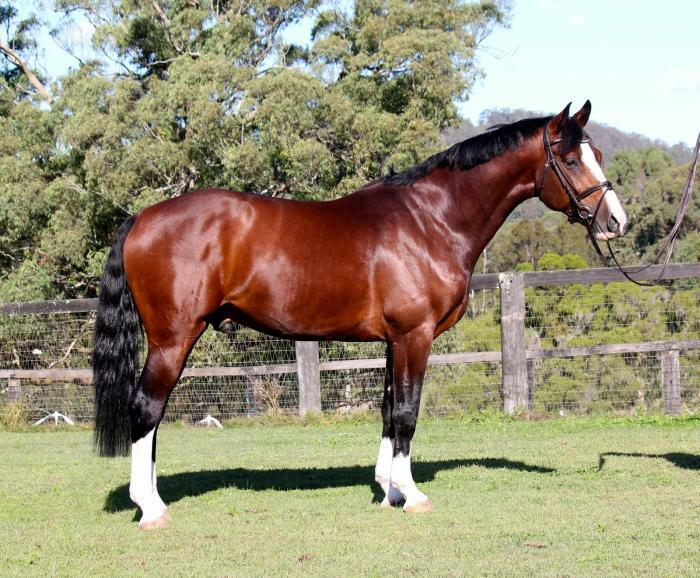 The stallion displaying the colourful markings of his sire Plot Blue and a still youthful appearance was anything but heavy. His movement was highly interesting, with an outstandingly regular, very ground-covering walk, a trot with good knee action, and a very efficient canter, powerful and with excellent carriage from behind. 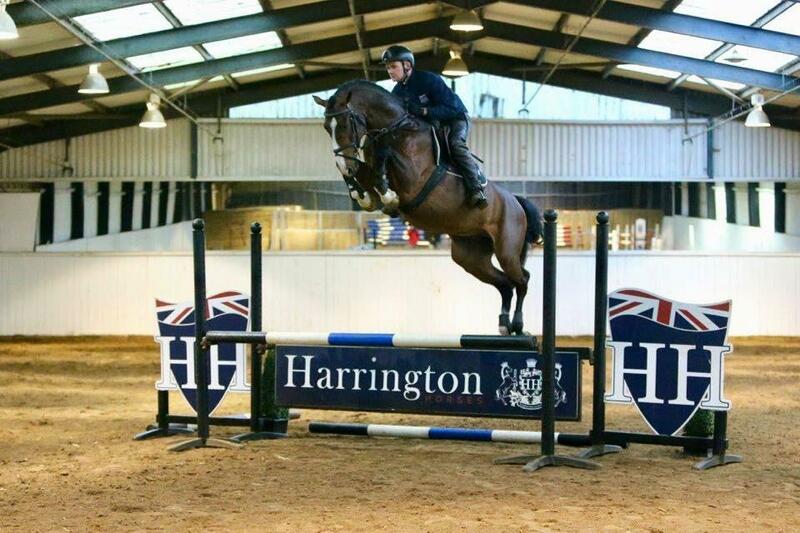 The free jumping proved more than convincing, very much to the purpose and very controlled, but on the same hand extremely careful, with a good bascule, excellent, bouncy push-off and the ability to be expected from his bloodline. His bloodline is characterised by an accumulation of sport performance of rare quality and concentration. 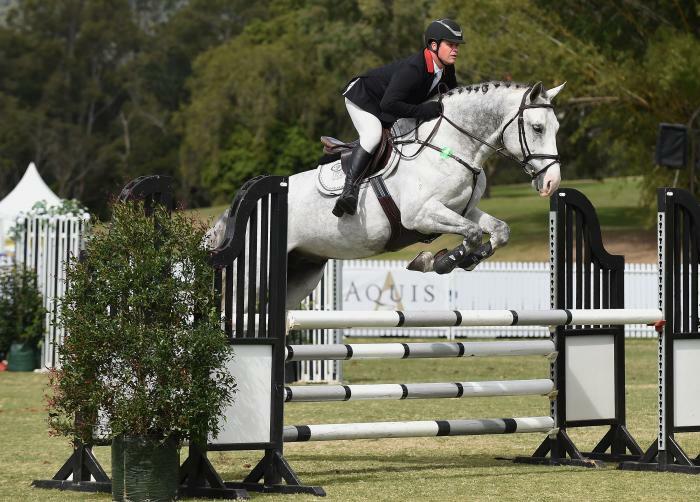 His 2nd dam, Daytona de Muze, used to be successful in jumper classes at 1.60m under Belgian rider Jody Bosteels and has been sold to the USA since. 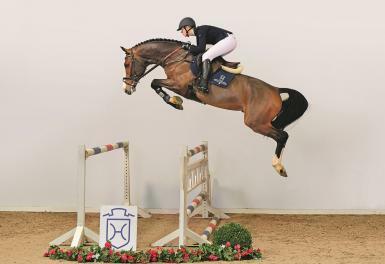 His 3rd dam, Wallon de Muze, was successfully competed under Michel Hécart (1.60 m), same as her full sister, Walnut de Muze, under Harrie Smolders. 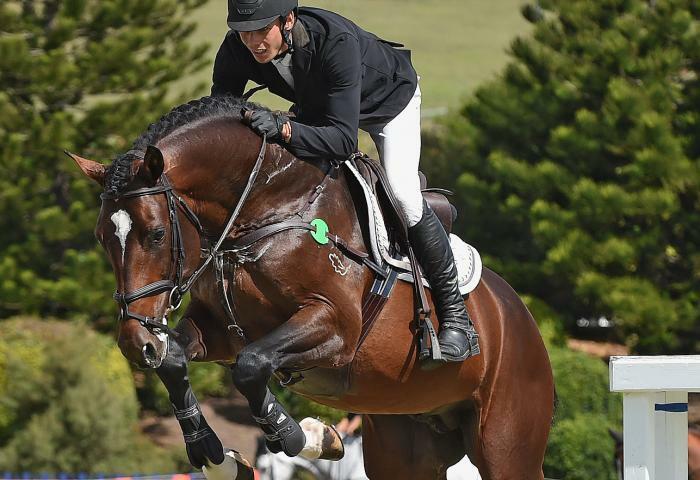 His 4th dam, Quirly Chin by Chin Chin was successfully shown internationally by Eric Lamaze. Million Dollar’s family is described by its founder Joris de Brabander as follows: „The horses from this line have good looks and good movement. They are easily ridden and have been demonstrating their performance in competition at international level for generations.” Million Dollar was purchased by the Holsteiner Verband in spring 2015 and licensed at Zangersheide in April 2015. He was 30-day tested at Schlieckau in December 2015 and graded 8.25 for rideability and 9.75 for jumping ability. 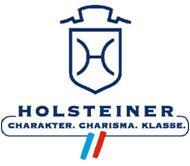 He has been approved for the Holsteiner breeding programme at the Elmshorn licensing in January 2016. 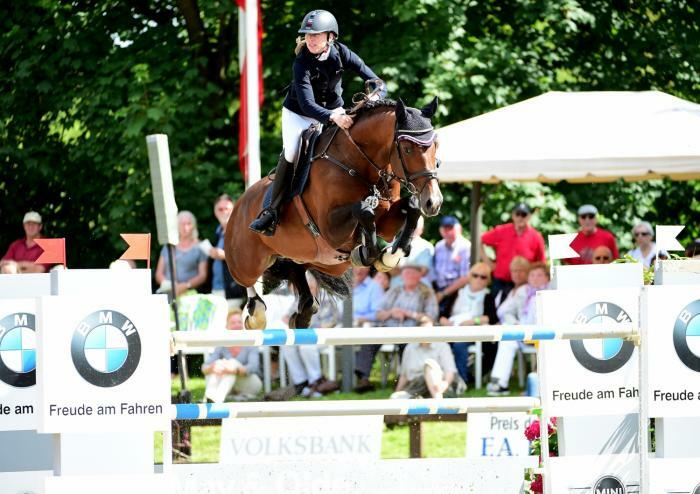 Under Maximilian Gräfe, the stallion has already won two young jumper classes at A level and was placed at L level. In this season he got more and more experience and won his first young jumper class at M level under Ebba Johansson. 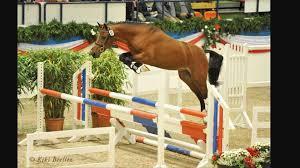 The Mare Booking Fee for Million Dollar is 350 Euro and the Pregnancy Fee is 800 Euro. Contact Sophia Gostelow on 0408862264 for more information.